The block of rooms has been reserved for April 23, 2019 – April 28, 2019. The special room rate will be available until April 2nd or until the group block is sold-out, whichever comes first. Rates are available three days before and three days after the meeting. The American Antiquarian Society (AAS) is an independent research library and learned society devoted to pre-twentieth century American history, literature, and culture. Founded in 1812 by Isaiah Thomas, a Revolutionary War patriot and successful printer and publisher, AAS was the first historical organization in the United States whose mission was national in scope. Today, the Society continues the goal of collecting, preserving, and making available the entire printed record of what is now the United States, the British West Indies, and portions of Canada. AAS houses over four million books, pamphlets, broadsides, newspapers, periodicals, music, manuscripts, and graphic arts materials on over twenty-five miles of shelving in its library in Worcester, Massachusetts. It holds the most comprehensive collection of printed material produced before 1821 in what is now the United States, contains the largest single collection of American almanacs and yearbooks printed between 1656 and 1876, and its holdings of eighteenth- and nineteenth-century newspapers are considered among the finest anywhere. Quite simply, no other library offers as complete a look at pre-twentieth-century American life as does AAS. Founded by Manuscript Society member Kenneth Rendell, the mission of the Museum is to have people gain a sense of direct contact with the World War II generation, to see them as people like ourselves today, to identify with their concerns and fears, to understand what caused World War II internationally, and how it was brought to an end at a terrible price. 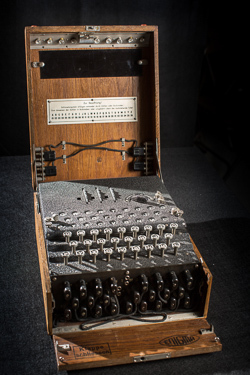 It is the only museum in the world with an international collection of artifacts, letters and documents. In Ken’s words, “The Museum is all about reality- everything displayed is original and everything is from the time that it happened. There are no retrospectives. Human events are lived in real time, not retrospectively. I wanted to collect, preserve and finally exhibit, what they read, what they used, all of the information that they were seeing and experiencing with the full understanding that no one can experience their anxiety.” Society members will have the opportunity to spend an afternoon on a very special tour of this museum! Longfellow’s Wayside Inn—a nationally significant Massachusetts Historic Landmark—is the oldest Inn still operating in the United States and has been serving travelers along the old Boston Post Road for almost 300 years. What began as a two-room home in 1707, the How(e) family ran as a successful tavern and innkeeping business from 1716 to 1861. From its Colonial roots as an important stagecoach stop, to Henry Ford’s historic preservation of the property as a living museum of American history from 1923 to 1945, the Wayside Inn offers a unique experience of history. The New England Historic Genealogical Society (NEHGS) is America’s founding genealogical organization and the most respected name in family history. Established in 1845, NEHGS is the nation’s leading comprehensive resource for family history research and the largest Society of its kind in the world. They provide expert family history services through their staff, original scholarship, data-rich website, educational opportunities, and research center to help family historians of all levels explore their past and understand their families’ unique place in history. Founded in 1791, the Massachusetts Historical Society is an invaluable resource for American history, life, and culture. Its extraordinary collections tell the story of America through millions of rare and unique documents, artifacts, and irreplaceable national treasures. As the nation’s first historical society, the MHS strives to enhance the understanding of our nation’s past and its connection to the present, demonstrating that history is not just a series of events that happened to individuals long ago but is integral to the fabric of our daily lives. Its collections are accessible to anyone with an interest in American history. Beyond research, the MHS offers many ways for the public to enjoy its collections including engaging programs, thought-provoking exhibitions, publications, seminars, and teacher workshops. The MHS collections are particularly well-known for extensive holdings of personal papers from three presidents: John Adams, John Quincy Adams, and Thomas Jefferson. The collections contain many famous documents including Paul Revere’s own account of his famous ride and Abigail Adams’s famous “Remember the Ladies” letter to John Adams, where she advocates for the rights of women to be included in the founding of the United States. In addition, the MHS holds several imprints of the Declaration of Independence, and Thomas Jefferson’s architectural drawings, among many other treasures. The Society members will be treated to four unique presentations during the visit: the Adams Family Papers, the Thomas Jefferson Papers, an architectural building tour and the archives and papers of the Massachusetts 54th Regiment and Robert Gould Shaw. The society will visit the Houghton Library, Harvard’s principal repository for rare book and manuscripts. They have planned several events for us including going behind the scenes to meet curators and see highlights from the library’s American literary manuscripts, poetry and Abraham Lincoln collections. 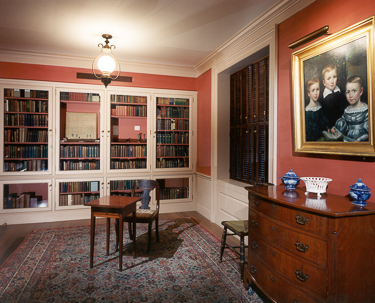 We will tour Houghton’s beautiful literary-themed rooms dedicated to Emily Dickinson, Amy Lowell, John Keats, and Dr. Samuel Johnson, and get a preview of the upcoming major exhibition marking the 50th anniversary of the Apollo 11 moon landing. 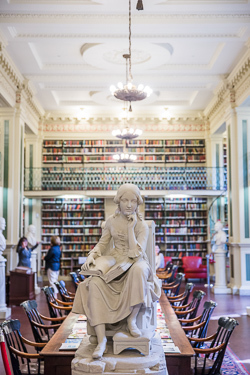 The Boston Athenaeum, a membership library and cultural center, first opened in 1807 as a reading room. 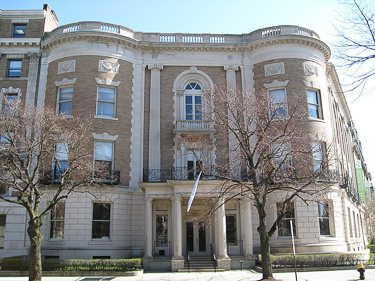 Today, the Athenaeum remains a vibrant institution that serves members and other curious minds. Early American history is a particular strength with resources in the Library’s extraordinary collections of early American imprints, 18th and 19th century tracts, early United States government documents, early American broadsides, publications in Native American languages, early Boston newspapers, imprints of the Confederate States of America, and portions of the personal libraries of Cardinal Cheverus, Henry Knox, and George Washington. 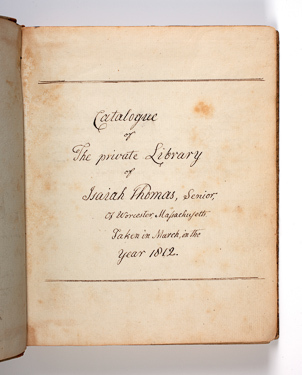 The Library’s collections include author collections featuring the works of Lord Byron, John Masefield, T. S. Eliot, and John Fowles, and an extensive collection on the art of the book including bookbinding, fine printing, and contemporary artists’ books. In the collection are artists’ papers, such as those of Amasa Hewins, Isaac Sprague, Cephas Thompson, Cecilia Beaux, Francesca Alexander, and John Singer Sargent, and papers of merchant John Perkins Cushing, African American lawyer and abolitionist, Robert Morris, and showmen P.T. Barnum and Moses Kimball. As with many other venues, the staff of the Athenaeum will divide us into four groups and we will rotate through four exhibits created for our visit. Established in 1848 by an act of the Great and General Court of Massachusetts, the Boston Public Library (BPL) was the first large free municipal library in the United States. In 1839, French ventriloquist M. Nicholas Marie Alexandre Vattemare became the original advocate for a public library in Boston when he proposed the idea of a book and prints exchange between American and French libraries. The Mayor of the City of Boston, Josiah Quincy, Jr., first president of the Board of Trustees, Edward Everett, and his successor, George Ticknor, were also at the forefront of the library’s establishment. Boston Public Library’s first building opened to the public on March 20, 1854. As the library grew it continued to move and in 1887 Charles Follen McKim of McKim, Meade, and White was appointed the principal architect in for the new building. The present Central Library in Copley Square has been home to the library and has served as its headquarters since 1895.Within the McKim Building are exquisite murals series by John Singer Sargent, Edwin Austin Abbey, and Pierre Puvis de Chavannes, a peaceful inner courtyard, and additional works of famed sculptors and painters. “How to Weed Your Attic: Getting Rid of Junk without Destroying History” moves archival appraisal and museum curation into the home. Determining what we should save for the sake of history and what we can toss without fear of recrimination starts with understanding what types of materials have historical value and why. Elizabeth Dow addresses documents and Lucinda Cockrell addresses material culture – museum stuff. After reading their advice, you can comfortably clean out your attic – or office, garage, basement, cupboards – with confidence that our posterity’s understanding of history will not suffer by your actions, and that you will not ask your local museum to take things that properly belong in a thrift store, junk yard, or recycle center somewhere. Elizabeth H. Dow discovered during her last class toward a Ph.D. at the University of Pittsburgh’s School of Library and Information Science, that she could blend her love of history and love of organizing information by becoming an archivist. Subsequently, she worked as an archivist at the Henry Sheldon Museum in Middlebury, Vt., the Vermont State Archives, and the Special Collections Division of the University of Vermont’s Bailey/Howe library. In 2001, she left Vermont to create the archives track in Louisiana State University’s School of Library and Information Science. She retired as the J. Franklin Bayhi Professor of Library and Information Science in 2014, and moved back home to Hardwick, Vt. She is the author of Creating EAD-Compatible Finding Guides on Paper (Scarecrow Press, 2005), Electronic Records in the Manuscript Repository (Scarecrow Press, 2009), and Archivists, Collectors, Dealers, and Replevin: Case Studies on Private Ownership of Public Documents (Scarecrow, 2012).